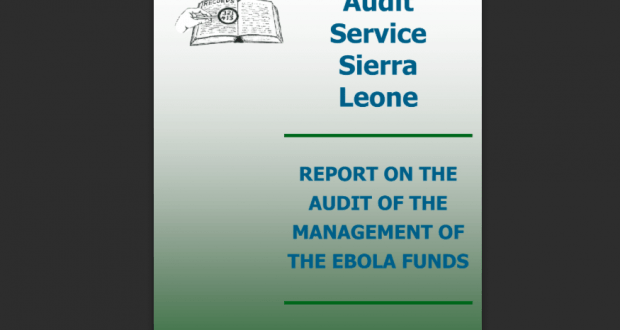 The report follows an investigation by the Auditor General into the management of millions of dollars, donated to the people of Sierra Leone by well-meaning individuals and organisations in and out of the country. The funds which were meant to help combat the deadly Ebola virus that has taken the lives of thousands of people in the country, were held in a bank account managed by Major Palo Conteh – Director of the National Ebola Response Centre and the Minister of Health – Dr. Abu Bakarr Fofanah. Whilst the people of Sierra Leone have been asked by president Koroma to make the ultimate sacrifice – curtailing their freedoms and go without food in the war against the deadly Ebola, his ministers, officials and network of business associates, friends and families have been very busy enriching themselves with the Ebola funds. This is serious criminal matter and the Audit report has exposed the depravity and moral bankruptcy of the Koroma led government, which after eight years in power has siphoned off over $200 million in foreign aid, public contract kickbacks, tax waivers, and misappropriation of state revenue. Rather than handing over the report to the police for a full criminal investigation so that those responsible can be charged with fraud and corruption and taken to court, president Koroma has instead chosen to politicise the matter. He has asked his friends and colleagues in the country’s parliament to spend the next two years smothering the report before elections are held in 2017. Most of the members of parliament are either members of the ruling party, or are sympathetic to the government because of favours received. 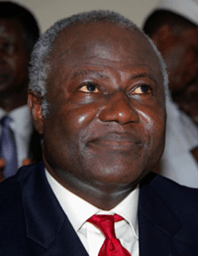 Members of parliament themselves are beneficiaries of the Ebola Funds, after receiving millions of dollars from president Koroma to help fight the virus in their respective constituencies. Members of Parliament had each personally received thousands of dollars from the president. But this is not a political issue, and parliament has no business muddying an already murky water, especially after many in Sierra Leone have called the payment of millions of dollars into the personal bank accounts of members of parliament by president Koroma as corrupt and unlawful. The Audit report is quite clear – crimes have been committed, and it is now the responsibility of the police to take over the report and instigate swift and impartial investigations, which must be allowed to go wherever the evidence leads them. This is why it is important that those named in the report must be immediately suspended from office, documents removed by the police and passports seized, pending the police investigations. But what is known, from the history of this government is that, those at the top of the corrupt political food chain – State House officials, the minister of health and the head of the Ebola Response Centre, will be spared, while scapegoats at the periphery of the network will be slaughtered in sacrifice. 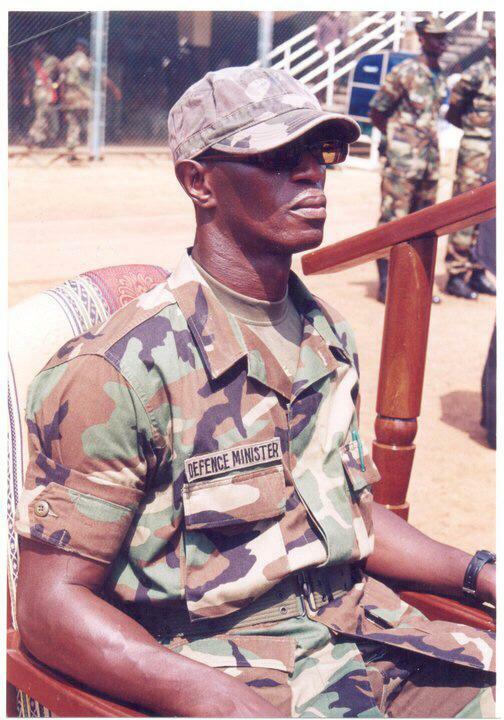 (Photo: Head of Ebola Response Centre – Major Palo Conteh). In the meantime, while parliament plays politics and president Koroma buys precious time, those responsible for this massive corruption will continue to bury their tracks by creating falsified documents and records to legitimise their fraudulent behaviour. Whilst the report has focussed solely on unraveling the gross abuse of office involving the misappropriation of more than $18 million (84 Billion Leones), by government officials since the outbreak of the virus in May 2014 to October 2014, State House itself and the Office of the First Lady – the wife of the president, are yet to account for over $5 million donated directly into their coffers. And this must be investigated. Several government ministers, provincial district officers, district medical officers, heads of government agencies, Sierra Leonean diplomats serving overseas have all invariably, received Ebola donation – both financial and in-kind. They must be held accountable by the courts. According to financial crime and forensic specialists, the complex web of Ebola corruption in Sierra Leone – presided over by State House in Freetown, may take several years to unravel – if at all. But what is clearly obvious is that accountability lies squarely at the door step of president Koroma and his ruling APC party, whom, along with several others outside of the government – now vying to run the country in 2018, must never again be trusted with public office and public funds. In an address to the nation several months ago, when evidence of rampant misappropriation of Ebola Funds was first uncovered, president Koroma threw verbal insults – saying that “those stealing Ebola funds have got blood in their hands”. Now is the time for the president to come clean and show that the source of the rivers of Ebola blood does not run from State House across to government ministries and institutions. The Audit report exposes the audaciousness and naked abuse of office, as well as the shameless lengths that officials and their private networks will go to enrich themselves with public funds. But that was just the tip of the iceberg, as paragraphs after paragraphs in the report tells a sickening story of immoral and naked abuse of office by corrupt ministers and officials. Shamefully, it seems everyone, everyone – including professors and doctors with political connections to the ruling APC, are either on the take, or on the dodgy Ebola payroll – receiving paybacks for political or personal favours. With the declining taxation and export revenues coming into the government’s coffers since the start of the Ebola virus in May 2014, ministers and state officials have been using the Ebola funds as their personal piggy banks, from which many have been able to become very rich. This report confirms widespread suspicion that State House and several key ruling party executives, do not seriously want to see the end of Ebola in Sierra Leone – at least not before the end of 2015, by which time it would be too late to make preparations for the 2017 elections. Withdrew Le750,000 without payment vouchers and supporting documents. Withdrew Le3 million without adequate supporting documents for work relating to “enhancing the maintenance of project vehicles”. He received personal cheques in the amount of Le.360, 900, 000 ($72,180). Of this amount Le 200 million ($40,000) was for sensitization and the remaining Le160, 900,000 ($32,180) was a loan to HFAC. No loan agreement or details were provided or available. No evidence has been provided to show that HFAC or Charles Mambu has repaid the Ministry. He received Le110, 640,000 ($22, 128) for sensitization in addition to the Le.63,000,000 which was already provided to MPs. The Ministry paid Honorable Duada 3 days after he had already received the Le.63 million ($12,600) for the same work. He received personal cheques in the amount of Le171,360,000 ($34,272) for adverts on radio and TV for which he has failed to provide receipts. He received a total of Le.66,600,000 ($13,320) from the Ebola Emergency Account without any supporting documents, nor is there any record of what the payment was for. He was paid perdiem for 21 days to go to the United Arab Emirates to inspect ambulances being purchased for the ministry. He only spent 8 days in Dubai, but he has yet to return $7,546 for the remaining 13 days for which he was given DSA / per diem. Ramesco General Supplies were unlawfully awarded $7, 496, 423.97 to supply vehicles including 10 ambulances, 5 Toyota Hiluxs, 1 Toyota Landcruiser, and 48 motorbikes; medical supplies, PPEs, infrared thermometers, and chlorine. Kingdom Security Logistics were unlawfully awarded $1,410,000 contract to supply 20 ambulances. Officials paid for air freighting of the ambulances, over and above that which was stated in the contract. The report says that only16 of the 20 ambulances have been delivered. Yet documents show that 17 ambulances were air freighted. CL Group was unlawfully awarded $889,900 contract to build the Kerry Town Ebola treatment center, the Port Loko Ebola Treatment Center and an Isolation Center. Royal International Supplies was unlawfully awarded $270,000 contract to supply 30 used vehicles of which the contract stipulated that Sierra Leone Roads Transport Authority was to inspect the vehicles before the payment was to be made. No evidence exists that this happened. Within two weeks of the vehicles being supplied the government paid $10,909.50 for repairs of the same vehicles. Kamasseh Construction and Engineering Services was unlawfully awarded $103,448 contract to construct a fence, staff toilets, and utility bay at the Lakka Government Hospital. This is a disgraceful, shocking and damning report that clearly indicts the entire Koroma government for failing to provide governance when it mattered most – at a time when thousands of Sierra Leoneans were dying and millions going hungry and without clean drinking water. 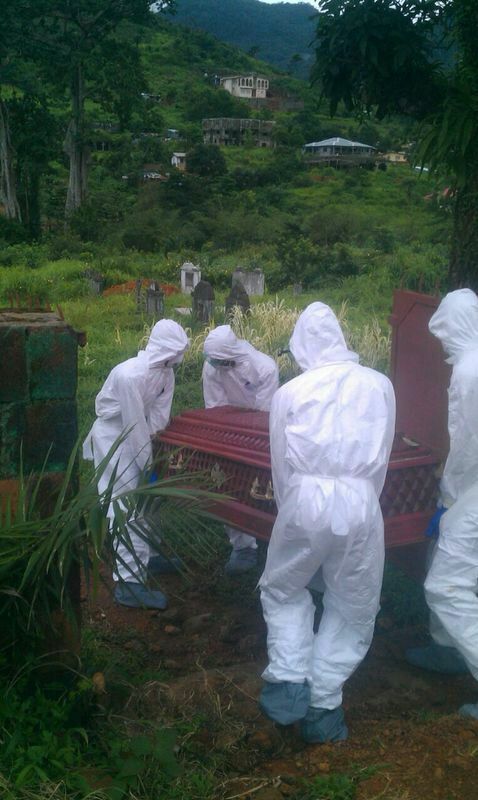 The government failed woefully to provide the most basic of protective wear for doctors, nurses and Ebola burial teams, whilst ministers, government officials and their network of friends and families were busy enriching themselves with Ebola funds. Twelve doctors and over 200 healthcare staff have died unnecessarily of Ebola in Sierra Leone, due to lack of adequate protective wear and poor working conditions. This report is a criminal matter and investigation must commence immediately by the police, so that charges can be brought against those suspected of theft, fraud and corruption. 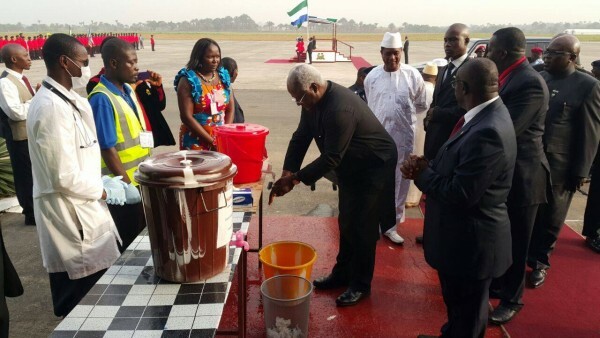 President Koroma and the First Lady are yet to fully account for over $5 million donated into their personal care to help the people of Sierra Leone manage the Ebola crisis. As Sierra Leoneans we are sick and tired of being branded by the rest of the world as the most corrupt, the poorest, the dirtiest, the darkest, and most barbaric (cut hand – cut foot) in the world. Let us for once prove that we can not only hold those entrusted with public office accountable, but that they can face the full weight of the law without fear or favour. Let the police investigation begin now, and let it go wherever the Audit report evidence leads them. We are washing our hands whiles others are eating Ebola funds. GOD will really punish them. I believe in Governor Clarkson’s prayer for sierra Leone. As for me, this is not the time for State House to bring out press release. It is too early for now. Some of my friends died of Ebola. Their families are now living on one meal a day. They depend on friends like me to feed them. So let us see what will come out of this report. Because some of us will publicly disobey the public order if necessary, to ensure that justice is done. Let us all work hard to stop corruption in Mama Salone. Thank you Sierra Leone Telegraph for bringing the news to our desk. I would like individuals out there to understand that nothing will come out of this huge corruption case. The government controls the police and the army. In Sierra Leone, many police officers who are working for the government would not attempt to arrest any big fish, because they would be afraid of losing their jobs. They are the most corrupt people in Sierra Leone. I am a double amputee living in New York. I lost both my hands in the most horrific Civil War in Sierra Leone. The two main political parties orchestrated everything and many of them knew what was going on. When the war was in the countryside, many of the politicians were busy stealing our money away, and took it to Europe and the United States of America. When the war was not in Freetown, none of them cared about what was going on in the countryside. Similarly, when the Ebola outbreak started, the same politicians did not pay attention about what was going on in the countryside. Instead, they started blaming each other. They waited until things got worse so they can receive money from the International Community to help solve their poverty. Many innocent people have lost their lives. This is the same thing that happened during the Civil War. The amputees suffered in the refugee camps in Sierra Leone, while the politicians were busy stealing our money. Many of my colleagues have died from trauma and diseases. I would like to tell the world that SLPP and APC have let the country and the people down. We the amputees had a lot of international help from outside the country, but none of us saw the money that the government received. The previous SLPP government said that they would make sure they build nice houses for individual amputees. The houses they built were not livable. This stolen Ebola funds case is another story that will go down the drain without any intervention. The politicians are currently busy stealing all the money the International Community and private donors have donated to the country. My heart breaks when I read these kind of stories, because it brings me bad memories about my home country. Many of these politicians who are running our country are selfish to their people. They only think about themselves, families and immediate friends, while the rest of the people are suffering. Its not likely anything significant will come out of the Auditor-General’s report about the chopping of Ebola funds. The Auditor-General’s last report about massive mis-appropriation of public funds by MDA’s, which included State House itself, is gathering dust on the shelves in the Office of the Clerk of Parliament. Thanks to the Editor of Sierra Leone Telegraph for this enlightening report and thanks to the Auditor – General for a job well done. I decided to read this report when I saw this piece and I must say – how shameful for Sierra Leone. Has the Inspector – General Francis Munu fully read and understood this report? If so, why are these people still walking the streets of Sierra Leone and still in their posts? You mean there was so much money in that account and yet 300 babies were dying daily of hunger and Ebola? This is unpardonable. Blind people could not fend/provide for themselves during this period and died needlessly. Why were people paid extra for doing their jobs? Are they not paid a salary? Young, healthy nurses with their lives ahead of them, died needlessly of Ebola due to lack of PPE kits in spite of people withdrawing cash to provide PPE kits. Shameful. 11 doctors lost their lives and the last of them – Dr Willoughby was not sent abroad for treatment even though, there were enough funds to do this. It seems even their own fellow doctors were involved in the fraud. Hundreds of millions of Leones were withdrawn by District Health Management Teams and yet so many people died in these districts. Monies were also paid to the Kenema – Lassa Research Project, which as we know was involved in Ebola Research. London Mining’s cheque to the Ebola Fund for Le 400 million leones bounced!!!! If you cannot meet your pledge , you nor go sidom saful? Sierra Leone is known as one of the most corrupt countries in the world and this report highlights a small proportion of what the people are capable of. Even Madina Rahman – the Deputy Minister of Health withdrew money without supporting documents. This business of taking what does not belong to you must stop!! I hope that the Police and Anti Corruption Commission clamp down on these culprits as soon as possible and make sure they are punished and repay every cent owed.